Going to the dentist? Not for me! Acupuncture, homeopathy, light therapy, hypnosis… In recent years, the approach of medicine, in general, has evolved and opened up to many forms of ancillary treatments to deal effectively with patient anxiety and phobia (fears). To one degree or another, we have all experienced the unpleasant pangs of apprehension before going to the dentist office. For many people, this feeling lasts but a brief moment, but for others, dental anxiety or phobia can be overpowering and act to dissuade them from visiting a dentist for many years. Regular dental and dental hygiene check-ups are key factors in maintaining quality oral health. Dentophobia: the fear of going to a dentist. The fear of going to the dentist or apprehension towards oral health care affects a large number of individuals. About 80% of the population, adults and children combined, report feeling anxious about going to the dentist. Whether one has been traumatised by a “bad” dental experience or simply overreacting to some irrational fear, feelings of anxiety can cause great discomfort and interfere with the optimal monitoring of your oral health. Ranging anywhere from transient apprehension to a full blown phobia, “fear” can become a disabling / dissuading factor for some people, preventing them from consulting with a dentist regardless of the dental issue and/or pain they may be experiencing. However, not following up on and managing oral health pathologies can lead to significant dental damage. In order to avoid developing advanced stage dental issues, contact our clinic and share your “fear” with us. Our dental practitioners offer a wide variety of approaches designed to reduce the effects of anxiety, phobia, and manage dental pain, including the use of hypnosis and nitrous oxide (conscious sedation – “laughing gas”). Reduce your anxiety / stress with Nitrous Oxide (“laughing gas”). Another solution employed to ease your anxiety and to make your dental care visit as serene as possible is the use of Nitrous Oxide (N2O), better known as “laughing gas” or MEOPA. This superficial sedation gas inhalation technique relaxes, reduces stress, promotes a sense of well-being and facilitates dental care while you remain conscious. During the intervention, you are awake and in full control of your movements. Inhalation of the “laughing gas” creates an analgesic effect, which removes or reduces stress and pain. Its anaesthetic properties and effects were highlighted in 1799 by the chemist, Sir Humphry Davy. In the medical field, Nitrous Oxide (N2O) was first used by a dentist, Horace Wells, as early as 1844. In medicine and dentistry, inhalation sedation is a proven reliable and safe treatment utilized for pain and anxiety management. Children at times also have great difficulty in feeling comfortable with a visit to the dentist. Today, thanks to its simple and quick application, they too (conditionally – 3 years and older) can benefit from the use of “laughing gas” (N2O). Administration of N2O is easily, directly, and safely carried out at the dental office thanks to the use of a small mask placed over the nose. The relaxing effects produced by the “laughing gas” disappear within a few minutes after the inhalation process is stopped. Thus driving a vehicle is possible, relatively soon, after the dental appointment. You can leave the dental office with “peace of mind” knowing there are no side effects. 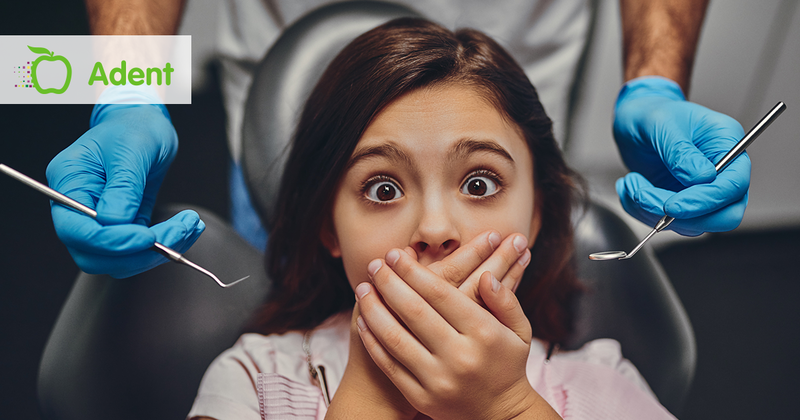 So, if you suffer from “fear” or phobia at the thought of setting foot in your dentist’s office, please, do not hesitate to let us know when you call to make your appointment: we offer solutions. Some of our dental practitioners offer hypnosis during treatment. This approach significantly reduces the anxiety / stress associated with an appointment with your hygienist or dentist and ensures that you are as comfortable as possible throughout the dental intervention. Far from the clichés where the hypnotist puts you completely to sleep, you will remain in control of the session while under hypnosis. Hypnosis is a natural state, during which you let go (paying less attention to yourself) thus allowing your subconscious to travel on a journey into a relaxing world. Your attention will become focused on a pleasant activity, person, colour, and/or moment in your life. During hypnosis your cognitive mind receives fully all information but does not process it in the same fashion. All unpleasant stress related thoughts are removed, placing you in a peaceful state, suppressing your “fear” during the session with your dentist or dental hygienist. Through hypnosis, any anxiety you may have in anticipation or your dental care appointment is channelled away by distracting your cognitive attention with your imagination. With the guarantee of never going against your expressed wishes, the practitioner will simply divert your attention away from those issues making you apprehensive and causing you to needlessly worry. In this hypnotic relaxed state, you will then approach your treatment calmly, without “fear”. Hypnosis is regularly practiced in the Adent Group’s dental clinics and is deemed appropriate for all patients, children and adults alike. In some instances, hypnosis is used in addition to nitrous oxide (conscious sedation – “laughing gas”).